A number of regional human rights organisations have hit out at land confiscation in Burma by companies and individuals with links to the government. The Asian Human Rights Commission has slammed a “frenzy” of land grabs in Burma by the government or government-linked companies, stating that abuses of power continue in spite of the country’s much heralded reforms. AHRC, which has been monitoring and lobbying for human rights in Aisa for more than 20 years, said that reports of land confiscation continue to escalate. AHRC cited several examples, including a case in which five farmers were accused of upsetting public tranquility over holding a public demonstration after the loss of more than one thousand acres of farmland in 1997, which was taken by the Burma Army. The farmers, from Thegon Township, held the public protest in Febuary after having sent more than 60 letters of complaint to 25 government departments with any “satisfactory response,” AHRC stated. Four of the men were charged under Burma’s draconian Section 18 of the Peace Assembly and Demonstration Law for protesting without official permission, AHRC maintained that during the course of their arrest police assaulted a number of the demonstrators leading to two women being hospitalised. The farmers again launched a protest on April 23, this time burning coffin effigies of the military associates responsible for taking their land. The five were then arrested and charged under section 505(b) of the Penal Code, for “allegedly upsetting the public tranquility” by burning coffin effigies, AHRC said. AHRC also criticized prominent pro-democracy politician Aung San Suu Kyi for heading the rule of law committee, describing the body and other agencies tasked with monitoring corruption and land grabs as “hollow, meaningless and pathetic,” in the face of mounting reports of land grabs. 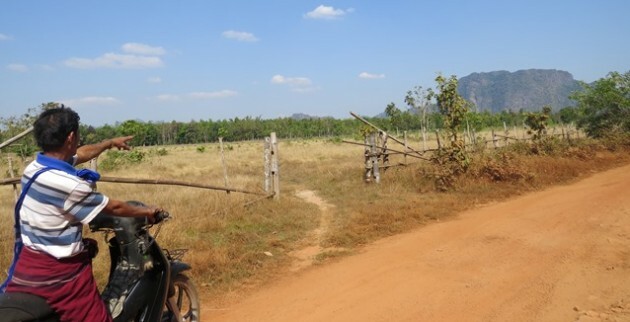 A report released by Karen Human Rights Group this month also noted growing reports of land grabs in South Eastern Burma following the signing of a ceasefire between the Karen National Union and the Burma Army in 2011. “Since the ceasefire, villagers have begun to report increasingly about land confiscation for mining, logging, dams, infrastructure development and commercial agriculture. Land is confiscated by armed actors or the Myanmar government in collaboration with companies for those projects.” KHRG said.